Nathaly Ames and Joel Sinchi listened attentively to the presenters and panelist about college life and choosing a major. 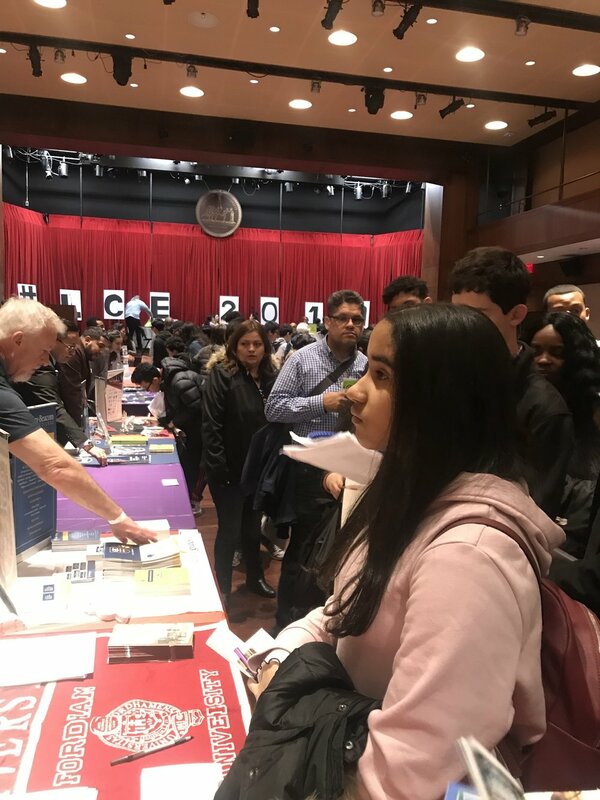 Lisbeth Acevedo took the opportunity to ask the admission reps about the different majors Fordham University offers. 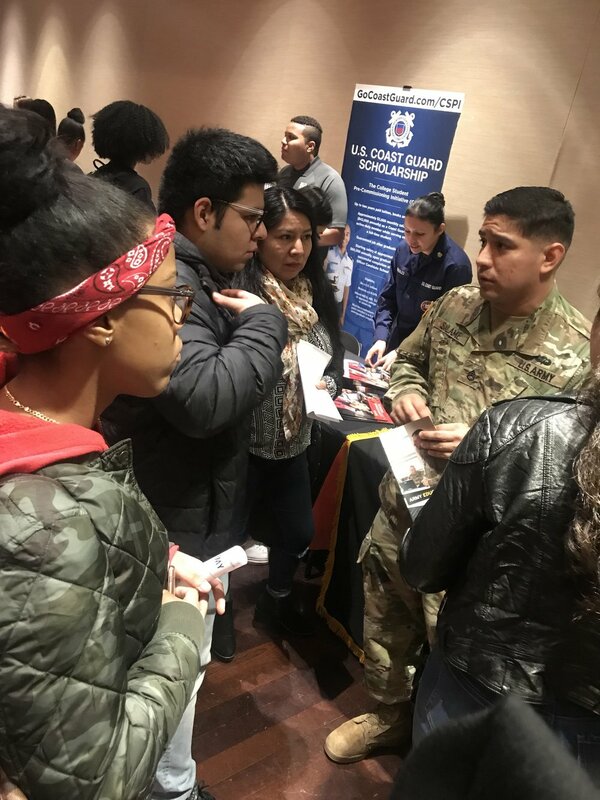 Beyoncé Barcelo listen carefully to the reps form the US coast Guard discuss various opportunities in joining.